The School’s internationally-recognized Marathon programs were developed in 1988 by Dean Graham Nickson, initially as a measure for the rest of the semester at the start of the program year. The program has since expanded to become a core component of the School’s curriculum. Meanwhile, intense outside interest led to the extension of the Marathons to a wider audience of participants outside of the full-time student body. Renowned artists, art historians, dealers, collectors, art educators, writers, journalists and students of all levels and affiliations have since experienced the intensity of the program. Originally designed to address the importance of drawing as the basis of understanding one’s experience in the world, the Marathons are based on an exploration of this most direct route to an enriched understanding of the language of the plastic arts. The innovation inherent in the Marathon program reawakens the way that drawing is experienced by artists and appreciators alike. The Marathons are intensive, all-day programs that run for two weeks at the beginning of each semester and during the Summer Session. 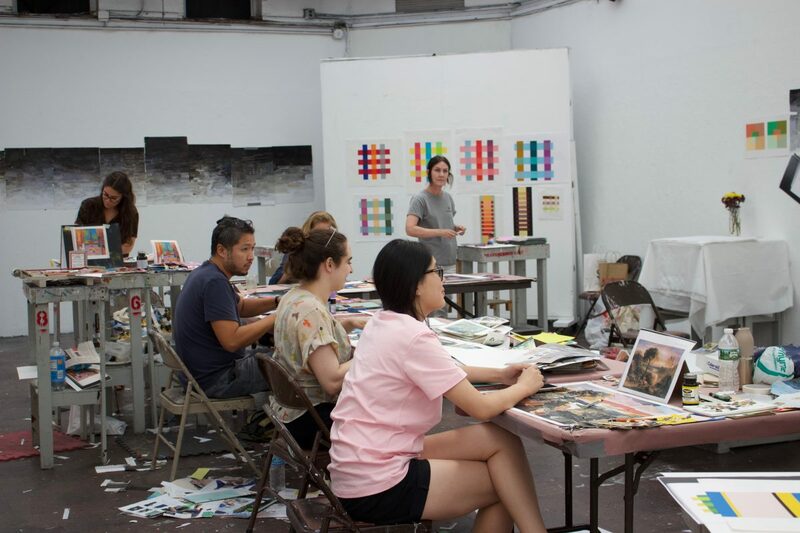 Drawing, Painting, and Sculpture Marathons are offered by both regular faculty and distinguished vis­iting artists who are present for the entire two-week session. All programs operate along the same basic model of immersing the student in their chosen discipline. The level of commitment reached by participants during the Marathon is extraordinary. Each individual must confront the problems of drawing, painting, and sculpture with vigor and intensity if they are to show that they are equal to the fierce demands of concentration and stamina necessary for the program. Not only are participants fully engaged in the physical aspects of making art, they are also intellectually challenged and stimulated by extensive group and individual critiques. The creation of strong and surprising works can be the catalyst for future work. In addition to being part of the full-time program, application to the Marathons are open to beginning and advanced artists regardless of their affiliations. Admission follows the same requirements and procedures as the full-time program. Fees for the ten-day course must be paid in full upon registration. The Marathon course hours are 9:00am to 6:00pm, with a lunch break from 1:00pm to 2:00pm. In some Marathons, there may be critiques. The specific critique schedule will be determined once courses have commenced. If you are currently enrolled as a full-time student at NYSS, or if you have successfully completed a Marathon or full-time program within the last five years, you are not required to submit an application in order to enroll in upcoming Marathons. Learn more here. Please email info@nyss.org with any further questions. Hope to see you this Summer! In this Marathon, students learn the importance of drawing as the basis of understanding one’s experience of the world. Drawing is seen here as the most direct route to the examination of our perceptions. 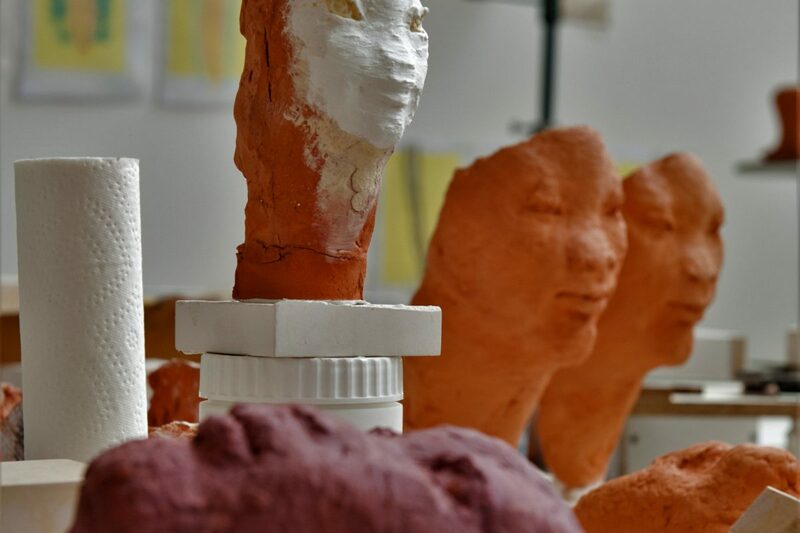 Drawing and modeling in clay are practiced from the live model to learn the abstractions of the plastic idea. Knowledge of how to describe the human figure is practiced in relation to this goal. 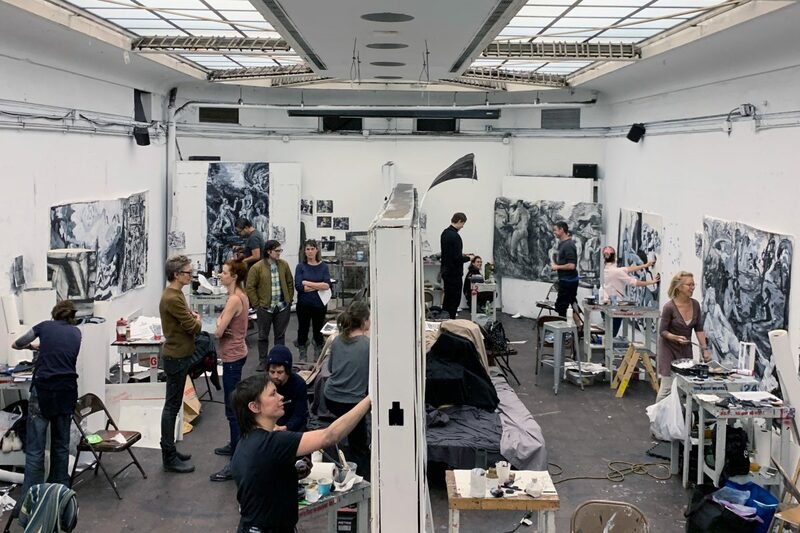 In this painting marathon, students will have the rare opportunity to combine working from perception and synthesizing that information with a model in a studio setting. 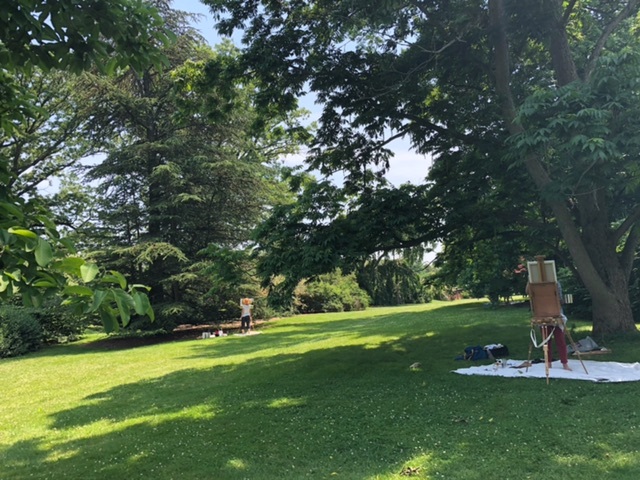 The class will work approximately half of the time in the quiet splendor of Old Westbury Gardens, Long Island, working from the landscape. This course is a working conversation, hands-on, in the studio, with occasional slide talks that refresh and catch up to the conversation. We begin with found items (students will bring them), natural and manmade, with some degree of figural association; a twig, a stone, a doll. 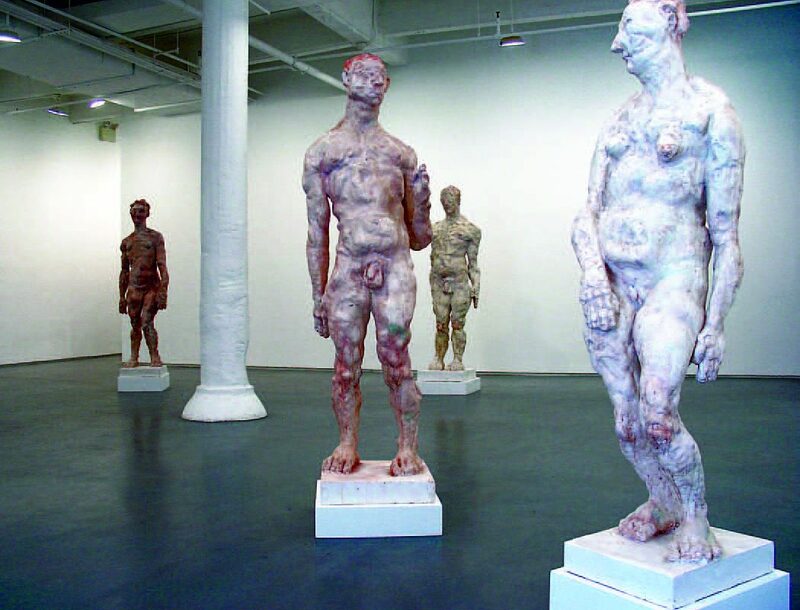 By modeled additions, carving subtractions, and some quick and dirty moldmaking and casting, those suggestive found objects are made to talk figure and image. 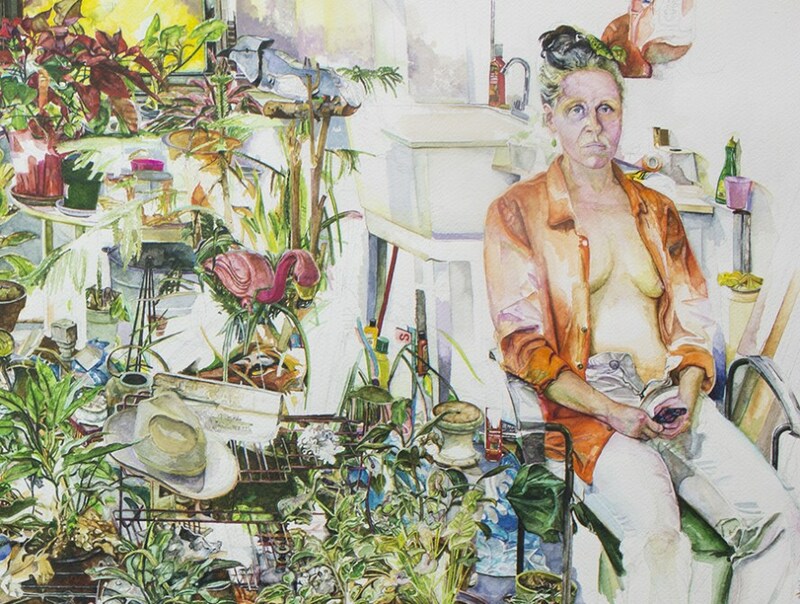 This is an opportunity for serious painters to spend two full weeks focusing in on the figure. The class will be divided into morning and afternoon sessions to accommodate the changing light. Students will begin working small on one session paintings and focusing on the heads. They will work directly from life and from reproductions. 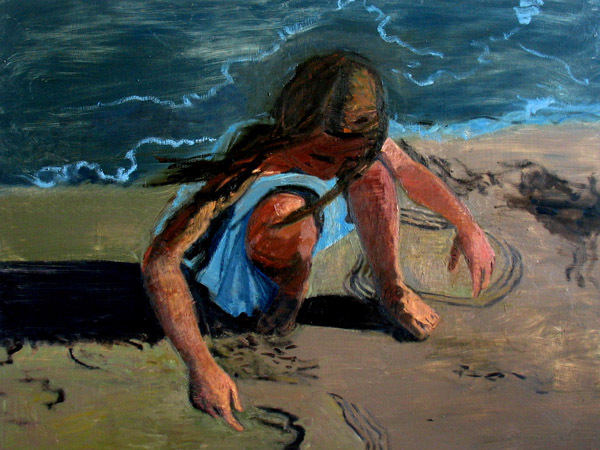 This figure painting class will explore in depth the development of figurative imagery in art. Focus will be on finding a personal imagery and developing that imagery to the fullest extent by working from life, from the imagination and from memory. This Marathon will elevate and expand our sensitivity to all aspects of color. Placing practice before theory, we will explore the wild richness of color functionality and mutability. Exercises will deepen our understanding of hue, tone, saturation, deception, intervals, boundaries and color relatedness.